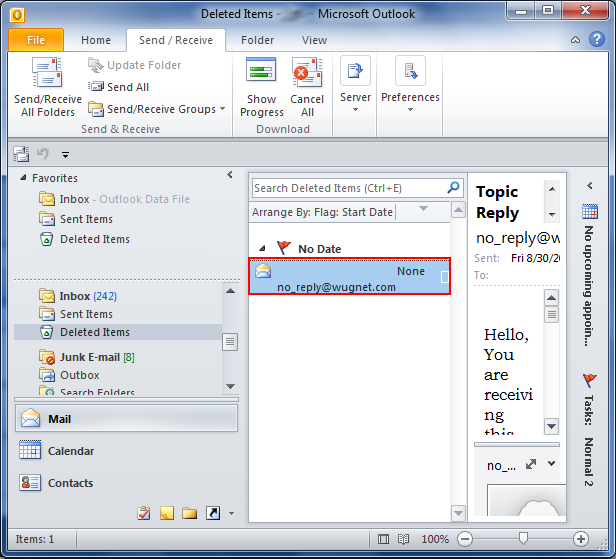 Error messages are the most common and one of the frequent occurred issues with MS Outlook. Since there are different levels of errors (taking complexity into consideration) but there are common troubleshooting methods as well that can help in eradicating the issues and aftermaths related to the Outlook error messages. 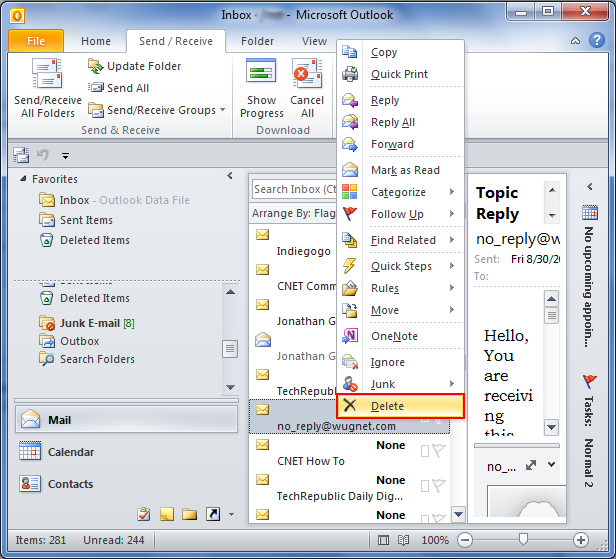 In this section, we have discussed on how to fix common error of Microsoft Outlook at initial stage. The distinct methods are summed up in the upcoming sections. 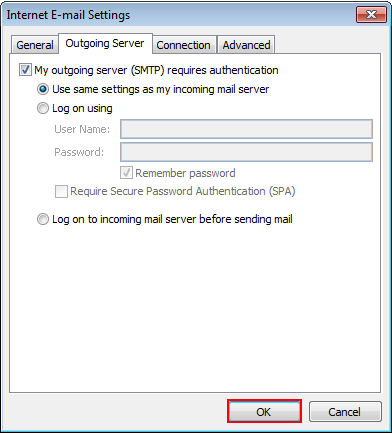 Solution 8: Run Outlook in "Safe Mode"
There are various ways to make sure that your account settings are appropriate. You can ensure it by auto detecting the setting and then setting up the email account, by checking ISP (Internet Service Provider) settings, by manually setting up internet email or through configuring advance server settings. 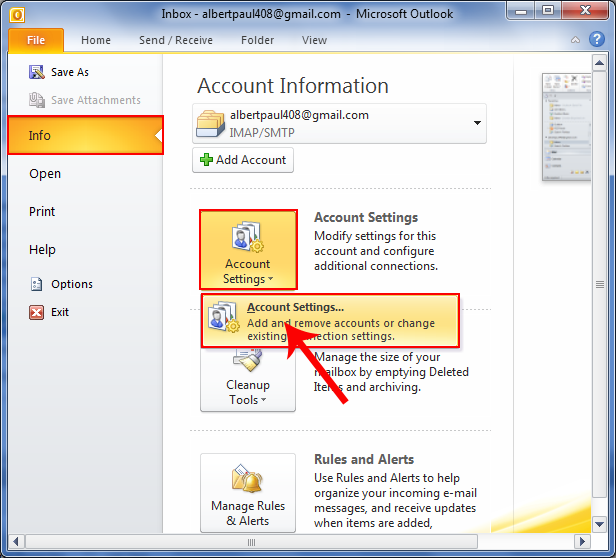 To configure advance settings, or to change the existing email account, you may follow the given procedure. Go in "info" option and select the "account settings" option. Double click on the "existing account". 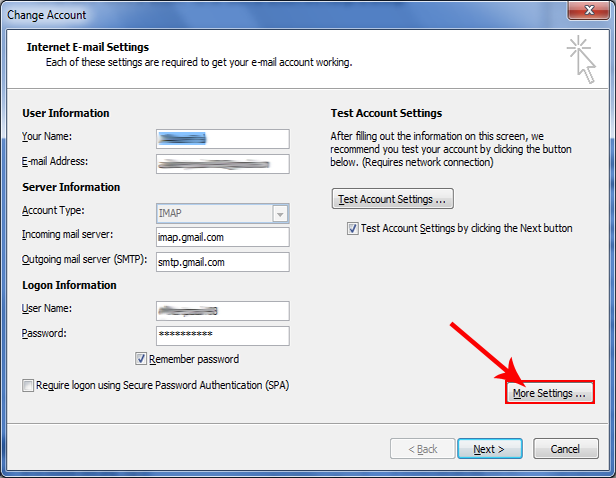 "Change E-mail Account" window will appear; click on "More Settings". "Internet E-mail Settings" window will appear. 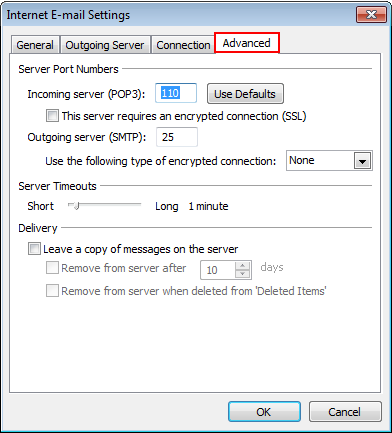 Click on "Advance" tab that will allow you to provide POP3 and SMTP ports. You may select the checkbox corresponding to "This server requires an encrypted connection (SSL)". Select an appropriate option for "Use the following type of encrypted connection" from the corresponding drop-down list. Provide specified time range for "Server Timeouts" settings and set appropriate conditions to "Delivery" settings. At last, click on "OK". Run the built-in Network Diagnostic tool. Troubleshoot Issue by manual procedures. Check the network (hardware) components. Click on "Send/ Receive" button and then select "Work Offline". Move the stuck message to "Drafts" either by dragging or right-clicking the folder. Delete message by right-clicking on it and selecting "Delete" option. If the issue leads to occurrence of "time-out" error message, then following procedures can also be followed to resolve the error issue. 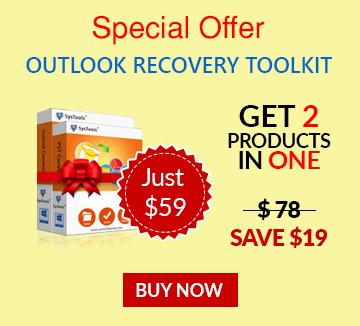 Launch MS Outlook and go to "Tools". 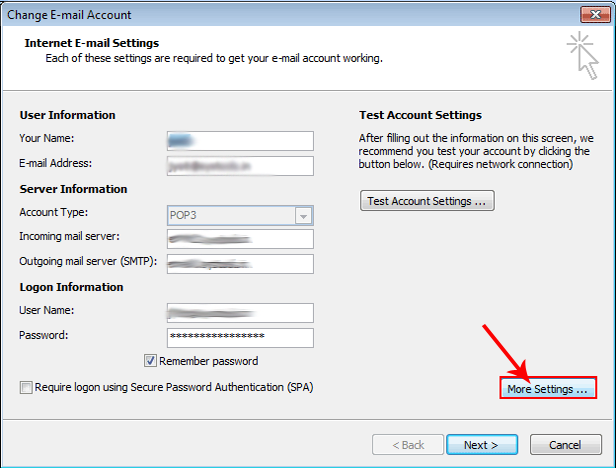 Select "Account Settings" and double-click the "POP3 account". In "Change E-mail Account" window, click on "More Settings". Click on "Advance" tab in "Internet E-mail Settings" window. Increase the time limitation provided under "Server Timeouts". 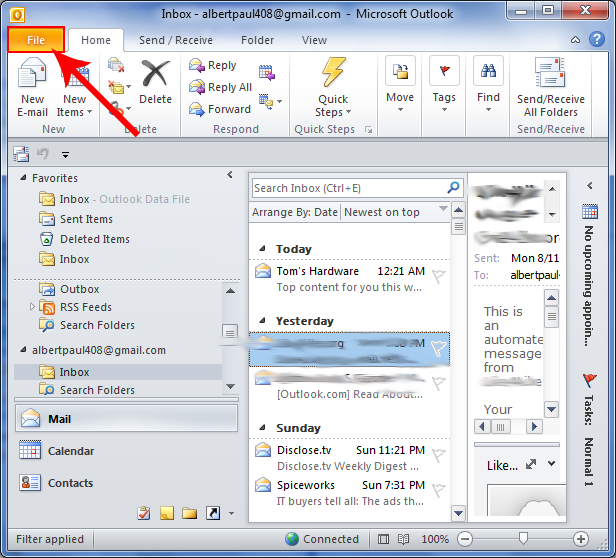 Launch MS Outlook and go to "File" menu. 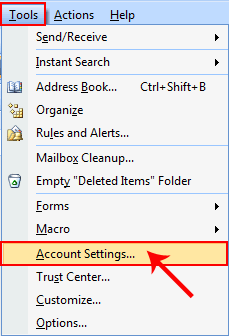 Select "Info" and From "Account Information" panel; select "Account Settings" and click on "Account Settings"
Double-click the "POP3 account" and from the then appeared window, select "More Settings". Select the "Advance" tab and increase the time limit prescribed in the "Server Timeouts" option. If "email scanning" is included into installed antivirus application, it requires executing additional configuration settings to use Outlook along with existing antivirus program and to make both applications compatible. Step1: Right-click on the target email and select "Delete" from the given list of options. Note: The email message will be deleted from its present location but will move to "Deleted Items" folder. For permanent removal of the email, follow Step 2 and 3. Step2: Go to "Deleted Item" folder and right click on the "Email Message" that needs to be deleted permanently. Step3: Afterwards select the "Delete" Option. The following window will appear, click on "Yes" button to permanently remove the message. Go to "Tools" and select "Account Settings". 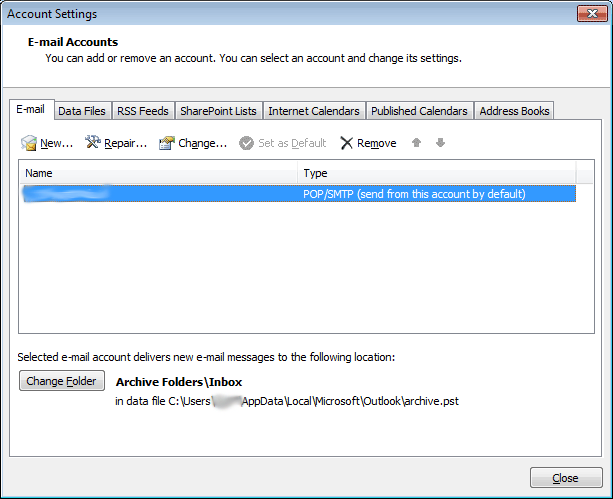 In "Account Settings" window, double-click on the "POP3 account". In the appeared window, select "More Settings" button. 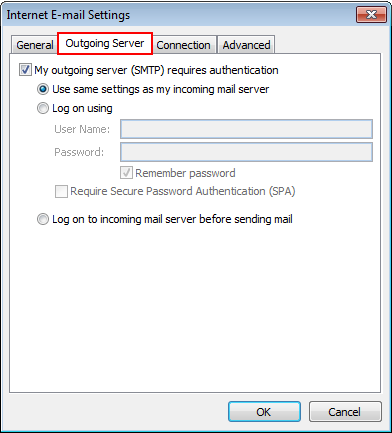 In "Internet E-mail Settings" window, select the "Outgoing Server" tab. 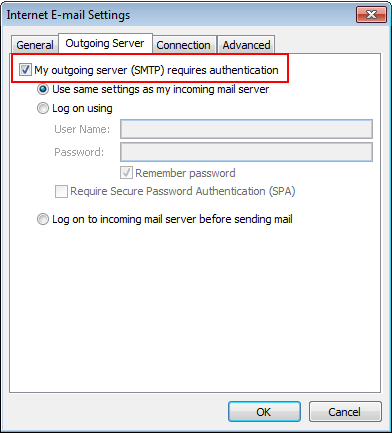 Check the option that says "My outgoing server (SMTP) requires authentication". At last, click on "OK" button. 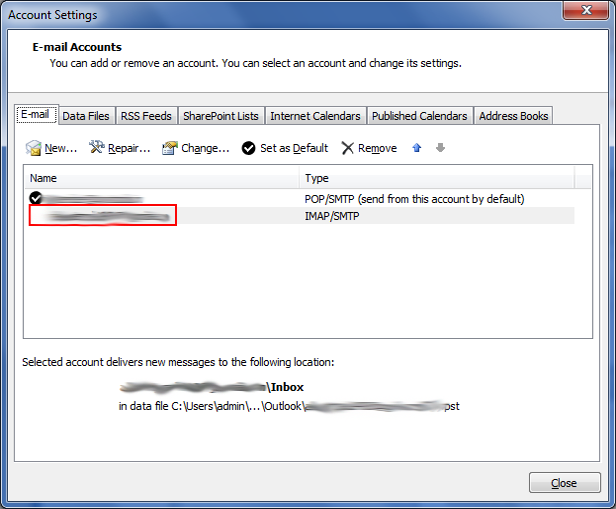 If the Outlook error exists due to corruption in PST files (Personal Storage Tables), it leads to inaccessibility of data files. So, to bring the files to the normal mode, it requires resolving the error. Click on "Browse" button to select the file that is to be repaired and then click on "Start" button to initialize the repair process. 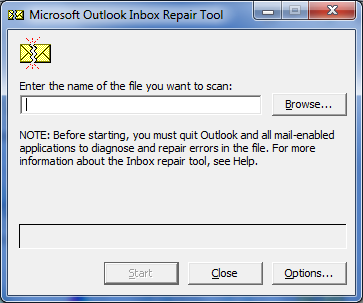 The "Inbox Repair Tool" can resolve error messages that fluctuate on screen due to PST files' corruption issues. Note: The tool can repair files with minimal level corruption, but if the corruption is of higher intensity, you need to employ other repair methods such as third party tools. 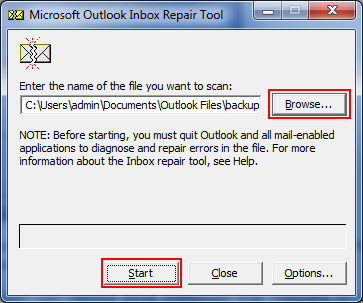 Outlook error sometimes can be resolved by running the application in 'safe mode' and it can be done by using the following procedure. Type "Outlook.exe/ safe" in the search box. Take cursor to the lower right side of screen and click on "Search". Type "Outlook.exe" in the search box. Click on "Start" button and go to "Control Panel". Select the appropriate MS Office program that needs to be repaired. Click on "Change" and follow either of the given options as per version. Office 2013: Select either "Quick Repair" or "Online Repair". Office 2010: Select "Repair" and then "Continue". Note: It is recommended to restart the computer once repair process is completed. Click on "Start" and go to "Control Panel". Go to "Program" and then select "Program and Features". Select the appropriate MS Office program that is to be repaired. Office 2010: Select "Repair" and then select "Continue". 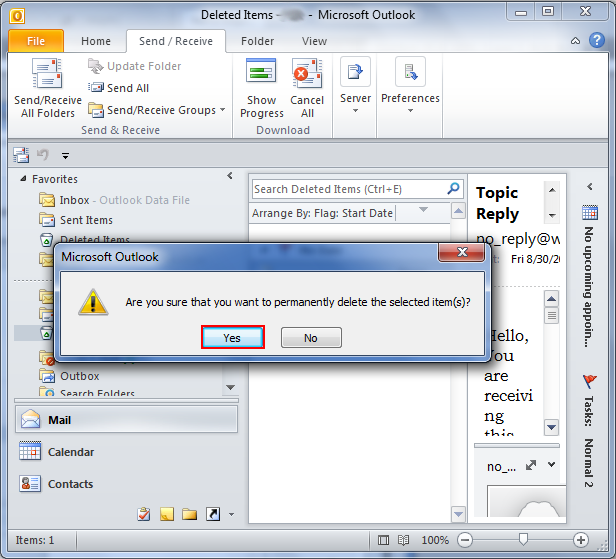 The Outlook error issue can be resolved by ensuring if the existing Outlook profile is functioning appropriately or correctly. This can be done by creating a new profile and then use it for sending and receiving emails to and from existing profile. If the newly created profile is working perfectly, you can simply configure and set it as default profile. Therefore, the common error issues in any version including Outlook 2013 and all previous versions can be eradicated by following the above mentioned work around\ procedures. These procedures can be implemented as per the root cause of the existing error. At last, it is recommended to follow the above given steps in a correct manner as even a minute mistake can leads to the loss of information. Note: It is a good practice to backup Outlook profile data so that if anything unexpected happens before or while implementing any workaround, the data can be restored back from the backup files.